Already listed with our Phuket land sales - land agents directory? Investment for a prime land for sale in Phuket to make a value with a heap of your money, choose a land for sale which is reliable. Land for sale in Phuket provide all over Phuket Island in every part of Phuket. See which land for sale in Phuket do you want and find it now. ASIALAND Real Estate Agency, helping clients in the sale / purchase of Land, Houses, Condominiums and businesses in Phuket, Phang Nga, Kao Lak, Krabi and Koh Lanta. 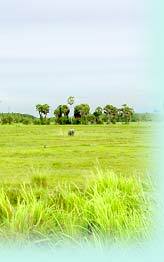 Ayothaya Land Development listens carefully to customer needs and searches Phuket for Land of all types. This Land is then offered to you for sale. One of the leading Phuket Real Estate Agencies - Brithai Real Estate forms part of the Phuket Real Estate Group. Plot of approximately 78-1-83 Rai in Ao Por area with water for irrigation. Mains water and electricity are close by. MSI Mountainous Solution Asia is leading professional real estate agent in Phuket. With experienced and highly motivated staff. This is an offer which is not to be found anywhere else! This piece of land, possibly the last of its type, is for sale and is located in the center of the business zone in Patong Beach. This land is adjacent to the main road. Phuket Paradise Homes exists to take all the time, effort and dramas out of finding the home of your dreams on the paradise island of Phuket. Conform to high quality standards produced with the deep more 10 years experience at Phuket PDC. Group Co., Ltd. in property developers & consultants and architect services. Welcome to Phuket Premier Property, property agents in Phuket. Our highly qualified team provides a wide range of services in the residential and commercial property markets. The ultimate in supreme luxurious villas and prime lands for sale by Phuket Realty & Associates with the best services for property buyers. We've wrapped the most spectacular and breathtaking views on privacy living.